In most parts of the country, having a car is an absolutely essential part of everyday life. We use cars to commute to work, get groceries, drive to meet family and friends, and any other number of activities. Even though nearly every trip in the car goes without incident, all it takes is one reckless driver or defective vehicle to completely change your life. Even if you are always an alert, courteous, and defensive driver, there are often circumstances out of your control that can lead to an accident. If you were injured in a car accident due to the negligence of another person, it is very important that you talk to an experienced automobile accident attorney today to discuss your legal rights. Even if you don’t think you are going to get any more than the insurance companies are offering you, a personal injury consultation is only 30-60 of your time, and if your case is the right fit, can lead to much more compensation than what insurance is offering. Drunk Drivers: As we all probably know at this point, driving a car while under the influence of alcohol or other drugs significantly increases the chance of getting into an accident. Since drunk driving accidents are often a result of reckless driving and speeding, the injuries stemming from these accidents are often quite serious. 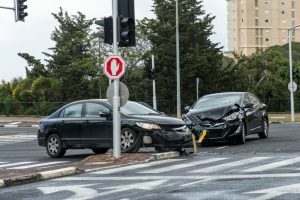 If it can be proven that the person who caused the accident was under the influence of alcohol, that can lead to significant financial compensation. spectrum, the worsening vision and reflexes associated with aging can make elderly drivers a truly dangerous presence on the road. In addition, driving far below the speed limit can cause many more traffic accidents than you might think, as they are not conforming to the rules of the road, and can cause others to disobey the rules as well while trying to pass them. even death. Reckless driving includes driving while drunk, tailgating another car, driving far above the speed limit, or anything else that makes the road explicitly more unsafe for the people in both your car and other cars. Vehicle Defects: You and the car you got into an accident with can operate your cars as well as you possibly can, but if your car refuses to break or accelerate at the right time, it can lead to a serious injury. 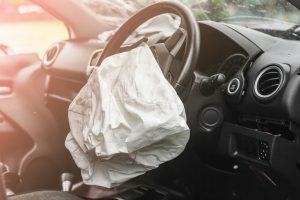 It is often tough to prove vehicle defects in a car accident case, but it is oftentimes necessary if you are deemed to be “at fault” without it. If you did everything in your power to avoid an accident, but were still injured because of a vehicle defect that you had no reason to think existed, then you can be entitled to serious financial compensation. Because they involve huge pieces of machinery driving at high speeds, car accidents have very high potential for causing serious injuries, or even death. To put it into perspective, nearly 1.3 million people die in road crashes every year – that’s 3,287 per day. Since injuries from a serious car accident can set your life back in more ways than your health, it is important to talk to an experienced personal injury attorney right after your accident. If your accident ends up affecting your job, relationships, or your ability to provide for your family, you may be entitled to compensation far beyond your hospital bills. When you schedule a free consultation with The Miami Injury Lawyers, we will be completely honest with what we think of your case. We work on a contingency basis, which means you will not be strung along with added fees every time we work on your case – we only make money if you make money. If you need help paying for bills while your case is in progress, we have the means necessary to make sure that you are completely taken care of financially. Car accidents can throw a major wrench into all aspects of your life, there is no reason to let one affect your health any more than it has to. Once the dust has settled after your accident, and you know everyone involved is OK, please contact us at any time of the day. The earlier we get the ball rolling on your car accident case, the better chance we have of making sure that you get what you deserve.